It has officially been one year since we started our Craft Club (seen on our previous post: Spooktacular Candle Holders), and we have tried out many different projects and themes along the way. Some have been a huge success and others unfortunately did not come out the way they were planned, but one thing can always be expected … our monthly Craft Club meetings have really become something that we (and the other Craft Club girls) look forward to. It is a great way to get caught up with our girlfriends and come home with a new project to add to our homes. We also find it relaxing to sit and craft at the end of a long work day or on a leisurely Sunday. Many of our members have taken the opportunity to graciously host and although we truly appreciate them opening their homes to us, that does not mean they have to feed us as well. Potluck snacks are a great way to not only share this responsibility but also learn new recipes from a very talented group of girls. This month we made standard guacamole and paired it with pita chips from our local Farmer’s Market which were incredible. Each month, there seems to be one over-achiever in the group. This time our friend, Jamie Lee, created these amazing bruschettas for us to enjoy which included red pepper, basil, some sort of yummy cheese, prosciutto, and a sprinkle of balsamic vinegar. Many of the girls had expressed the need for time spent on individual projects. Although this month did not have an official theme, we discovered that (randomly) there was a common trend. Lots of chevron print and paint this month. Sisters, Paige and Whitney teamed up (once again) to work on striped curtains and a chevron print lampshade for a newly designed kid’s room. Paige’s two year old is anxiously awaiting the arrival of his new roommate and baby sister, and these Craft Club additions to his “old room” will help him feel like it is a whole new space for the two of them to share. One of our friends used her chevron print to create small square cork boards for keeping mementos and favorite pics. She plans to frequent flea markets until she finds the right frames to put them in and finish off this look. Our friend Hannah (a lover of print, pattern, and anything that shines), created this chevron print, metallic silver, and mirrored tray for keeping “immediate jewelry” (as she called it). We took this opportunity to work on projects for posts that are coming up soon, so unfortunately you will have to wait just a little bit longer to see what we came up with. We can, however, leave you with a preview of what’s to come in next month’s Craft Club meeting. For the month of October, we are planning to bring back our favorite theme of last year, Pumpkin Decorating. Can’t wait! Sometimes you just need a weekend away … When life gets busy and time for relaxation seems few and far between, a change in scenery could be just what the doctor ordered. This past weekend Tami and “the girls” planned to do just that. Of course, things don’t always go as planned. Even though many of her young professional friends were interested in attending Santa Barbara for the weekend, life (as we know) happens, and it ended up just being two girls who desperately needed a break from reality … and boy did they live it up! Although Santa Barbara, California is much more slow paced and relaxed than let’s say Vegas, “what happens in Santa Barbara stays in Santa Barbara”. However, Tami is more than willing to share a few tips for those girls planning a weekend away as well. When traveling with the girls, location is everything! The key is to find a place that feels safe and is close to all options for activities. Hotel Santa Barbara was chosen for all of these reasons as it is located on State Street (walking distance to shopping, wineries, and night life), price was very reasonable, and employees were extremely friendly and accommodating. Start off each day right with a complimentary hotel breakfast! 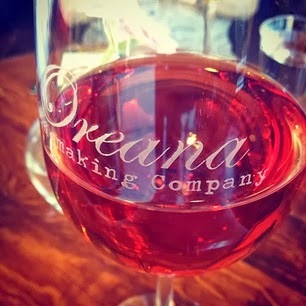 Spend the day enjoying wine tasting at the local wineries. Santa Barbara Winery and Oreana Winery and Marketplace were both excellent choices and made for a full day of fun for a very reasonable price. You can’t beat getting six tastes (reds and whites) for only ten dollars! Shop til you drop! 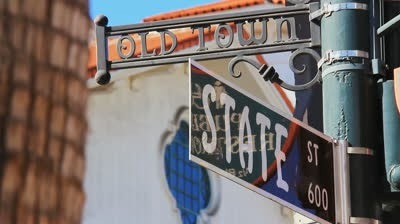 State Street has everything you are looking for from large department stores to small one of a kind boutiques. Retail therapy is a great way to release what’s going on in your real life and focus on something else (even if your budget only allows you to window shop). Make a fast food pit stop on your way back. Hey, it’s not every day that you are on vacation! My personal favorite is the one that knows best “what a hamburger is all about”. Nice meals out, relaxing in a beautiful city by the beach, and a delicious glass of wine is just what Tami needed for her girl’s weekend getaway. 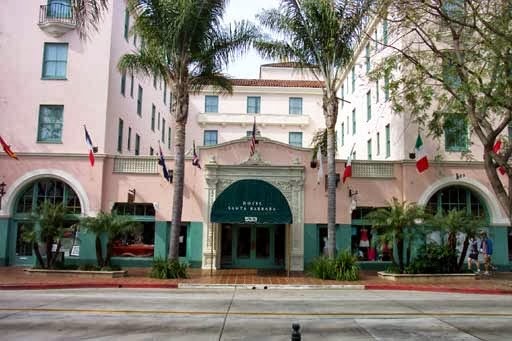 We hope to have given you ideas on how to spend your time and places to go if you are ever in the Santa Barbara area … and as for us, it’s back to reality! This past Thursday began the holiday of Sukkot (a week long celebration of the harvest, where many people spend a lot of time outdoors in a “sukkah” or makeshift tent). By Jewish law, the sukkah needs to be a certain height, made from specific materials, and allow light to come through the roof. Although we have spent time every year for as far back as we can remember eating and catching up with family in the sukkah, it has always been our dream to create our own sukkah with designer qualities. 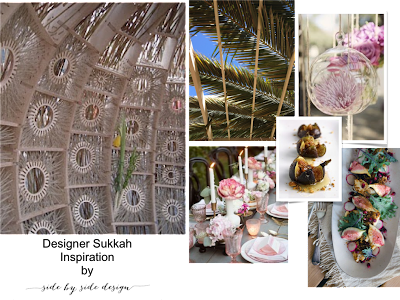 Wouldn’t it be amazing to be hired to design a sukkah with fabulous decor? This Sukkot, allow us to host a dinner party (through this inspiration post) in the sukkah of our dreams. This photo blew us away with its non-traditional decorative sukkah walls mixed with traditional touches such as the lulav and etrog (symbols of Sukkot) hanging inside. In finding this photo, we knew we had to base our entire design inspiration on it. One of the requirements of building a sukkah is that you must be able to see “three stars through the roof”. Therefore, most people use palm fronds to cover the top as they are large and fill the space well, but also allow you to see the sky. For our inspiration, we felt that it gave just the right amount of natural beauty to the otherwise over the top space. Among our fondest memories of Sukkots past (when we were a lot younger) is the memory of decorating the sukkah. As it is the time of year to celebrate the harvest, we would place vegetables and fruit on strings along with paper chains in all different colors. 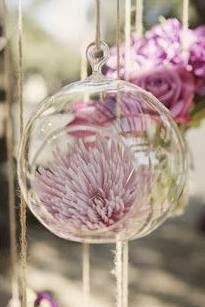 This cluster of glass balls is reminiscent of seasonal fruits such as apples and pomegranates, and would look beautiful hanging in this sukkah while giving it the elegance we are striving for. It is a mitzvah (good deed) to invite others to eat in your sukkah, but who says you can’t eat in style? This elegant table setting is intimate and perfect for an outdoor environment. The candles give off the light needed to dine at night while still setting the mood. Pomegranate and figs are two of the fruits we think of most in relation to this holiday. Their sweet flavors start the new year off right, and they are reminiscent of our “holy land” where they grow in abundance. This salad is just gorgeous and has all of the perfect ingredients to share at your Sukkot table. We decided to use figs again in the dessert inspiration. When paired with another symbol of the high holidays (honey) you can’t go wrong! We had way too much fun preparing this designer sukkah inspiration board for all of you and hope that you have liked it as well. Enjoy the rest of your Sukkot holiday, and keep us in mind should you ever decide to dress up your sukkah. A “core” symbol for the month of September is the apple, as it represents apples dipped in honey for Rosh Hashanah and giving an apple to the teacher at the start of the school year. So when we brainstormed ideas of what to bring for dessert to last week’s Yom Kippur Break the Fast dinner, it seemed the obvious choice was to incorporate apples into whatever it was that we made. A Pinterest search for “apple treats” lead us to this apple tart recipe and we are so glad it did. It was the perfect addition to our long awaited meal after a full day of fasting. 2. Remove paper from frozen puff pastry dough (1 sheet thawed) and keep folded up. On a lightly floured work surface, roll out the pastry sheet (still folded) to an 8 by 14 inch rectangle. Trim edges with a pizza cutter or sharp pairing knife. Transfer to a baking sheet and place in the freezer until ready to be used again. 3. Peel, core, and slice 3 Granny Smith apples 1/4 inch thick. 4. Toss apples in a large bowl with 1/3 cup sugar. 5. Brush pastry dough with egg wash (1 large egg yolk mixed with a teaspoon of water). Use a sharp knife to score a 3/4 inch border around the pastry (do not cut all the way through). 6. Place apples inside the border and dot with butter (about 2 tablespoons). 7. Bake until pastry is golden brown and apples are tender (30 – 35 minutes). 8. In the microwave or a small saucepan, heat 2 tablespoons apricot jam with 1 tablespoon water until completely melted. Brush apples with glaze, serve tart warm or at room temperature, and enjoy! This Fall, give this apple tart recipe a try. We promise you won’t regret it. Maybe even bring it with this weekend to a special dinner party you are attending. We were recently asked to help out with paint selection for a newly purchased condominium. While working on this request, we realized that this seemingly easy task could be very overwhelming to the majority of people. Therefore, we felt it could be helpful to write a post based solely on this concept and tips we have acquired along the way. 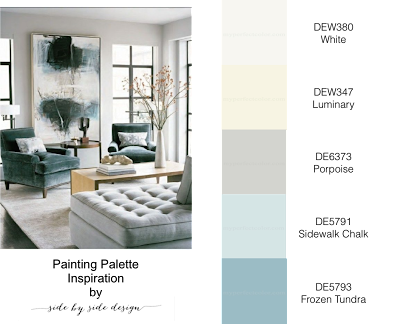 To begin, we decided to come up with an overall color palette for the home to make it flow nicely from room to room and work with the couple’s existing furniture and accessories. We found this photo and knew it was the perfect inspiration with its clean, crisp palette and bold accents. We came up with this color scheme using Dunn Edwards paint colors and can’t wait to see the finished product. We actually liked the soft blue color found in the common area and decided to do something very similar, but maybe just a tiny bit more mellow. We selected “Sidewalk Chalk” for this space to create a nice backdrop for their monochromatic pieces. A few pops of color (such as different shades of teal and a deep purple) would make for nice accents. A Few Tips: When selecting paint always go a little lighter than you’d think … the color always comes out darker on the wall. We also suggest going with a matte finish in common areas with semi-gloss baseboards and crown for a more modern and clean look. We actually found the color of this guest bathroom to be quite offensive! We commend the previous owner for going bold, but feel that there are lots of other colors to compliment the stone counter top and shower surround better. We also wanted to make a statement in this space and thus decided to go with “Frozen Tundra” for a slightly warmer and more sophisticated look. Tip: In bathrooms, always use an eggshell or semi-gloss finish for ease in cleaning. There was nothing wrong with the existing color in this guest room. We felt that a fresh coat of paint was necessary and decided to go with “Luminary”. This room will currently be used as an office, but with this color choice could always be easily transformed into a guest room or a nursery. Tip: If you are painting a nursery, it is wise to use an eggshell or semi-gloss finish on the walls. You just never know when you will need to wipe them down. As if it wasn’t bad enough that one bathroom was painted in this horrendous color, but two bathrooms was way too much. We thought “Luminary” was a much better choice for a young couple in their master bathroom and would go with their turquoise towels they already had. Tip: If you do choose to go with a color in your master bathroom, select one that either compliments the existing marble counter top or a color found already in it. The master bedroom wasn’t bad. It just looked a little dingy and needed freshening up. We selected “Porpoise” with all white baseboards and ceilings for a crisp, modern look. Tip: We prefer soft, calming tones of paint or dark, moody colors in bedrooms as we feel that these set the tone for a relaxing sleeping environment. We hope that this can be found as a helpful post for those of you looking to paint your space. We are wondering, do you have a favorite paint color you have used in the past? Or is the idea of painting still totally overwhelming to you? If so, we are just an email away. Email us at sidebyside.design@yahoo.com.